Hi my loves! If you are following me on Instagram (@juliasallure) then you all know how much I love a good glow! 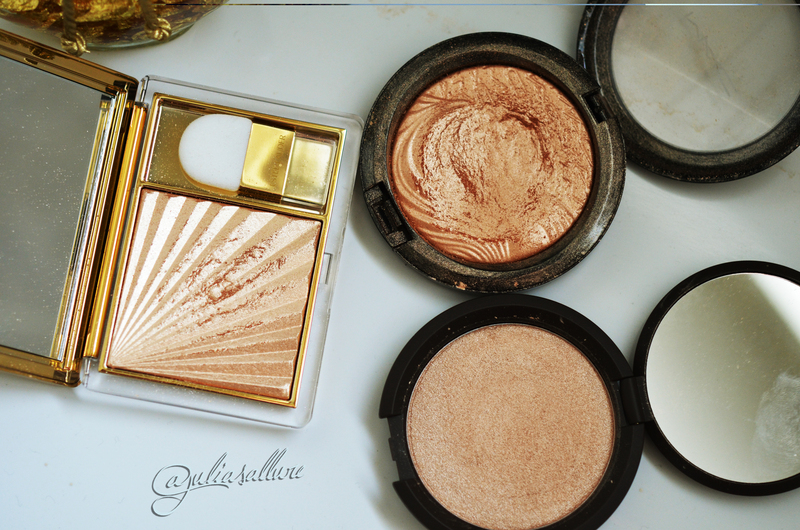 I prefer highlighters that are more golden as they give a warmer glow (which I love)! I am sure most of you know about the infamous Limited Edition Extra Dimension Skinfinish by MAC called “Whisper of Gilt”. It is a stunning golden highlight with a beautiful “gel-like” consistency. It has come out a couple of times with other MAC collections but unfortunately it is Limited Edition and no longer can be purchased from the store. You can find it off of Amazon or EBay but the prices are usually RIDICULOUS! ($100+) Now we love a glow but I sure won’t be paying that much $$$ for some shimmer. Then there is the Estee Lauder highlight called “Heatwave” (Estee Lauder & MAC are sister companies therefore the consistency of the two highlighters & shades are almost EXACT) Heatwave is a gorgeous bronzy color similar to Whisper of Gilt but a TOUCH lighter. This too is also a Limited Edition shade. I purchased mine off of EBay before they really went crazy with the prices – that always happens when a product becomes really popular unfortunately. This *thank the heavens* is NOT a Limited Edition shade. 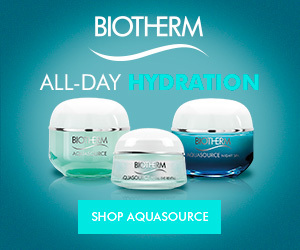 You can purchase if off of Sephora.com. It retails for $46 CAD. (I am in Canada – it is a tad cheaper in US $$) It comes in a liquid form and a pressed form. I purchased the pressed one. There are three shades: Opal (as seen above), Moonstone, and Topaz. Moonstone is better for those with a paler complexion and Topaz would look amazing for those with a deeper complexion. I am really loving Opal so far and it definitely compares to Heatwave & Whisper of Gilt. So those of you who are looking for a dupe that you don’t have to pay +100$ for here it is! As you can see it is very pigmented. A little goes a long way. 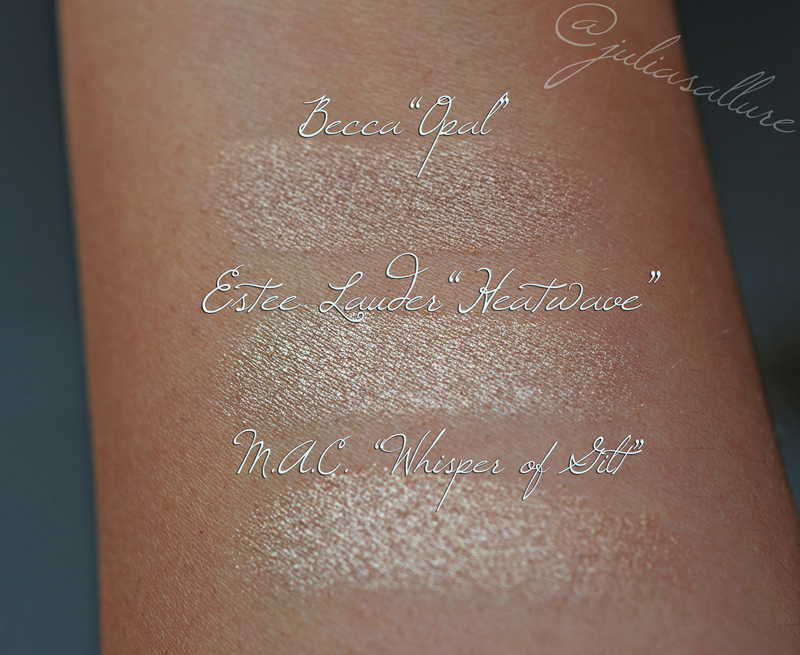 It all depends on how much you want to glow 🙂 I did comparison swatches between Becca’s Opal, Estee Lauder’s Heatwave and MAC’s Whisper of Gilt so you can get an idea of how they are in comparison. As you can see Opal is a touch less yellow gold. Heatwave is the lightest and Whisper of Gilt is in the middle of the two. There are slight differences between the two but they are all virtually the same and give the same effect. 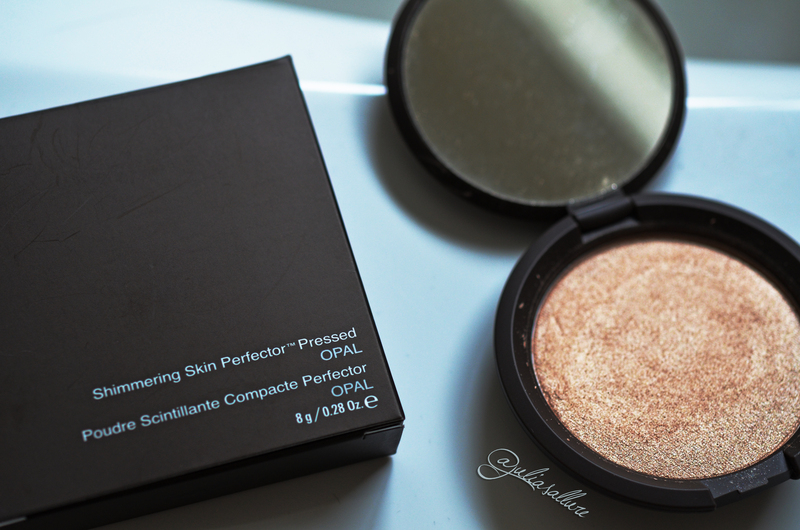 If you love a warm glow just as much as I do then you will love Becca’s Opal! Opal’s consistency is creamy and similar to that of Whisper of Gilt and Heatwave. 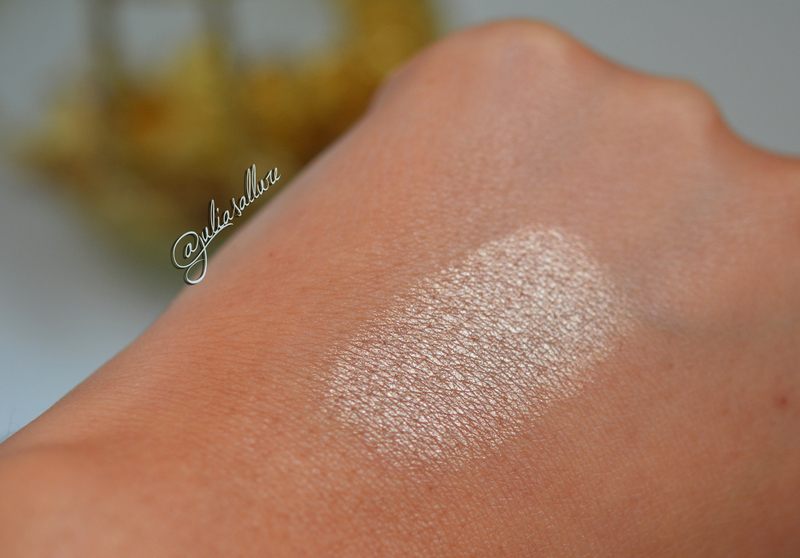 It isn’t blotchy or glittery – it glides on beautifully and provides an even, gorgeous sheen. Hope you guys enjoyed this post! Let me know if you want more comparison posts. Amazing review!!! You know your stuff and answered any possible question one could have! Thank you so much for writting this review. I will definitely be getting the becca highlighter this weekend. It looks stunning!! hey! love your makeup!! you should start making tutorials! 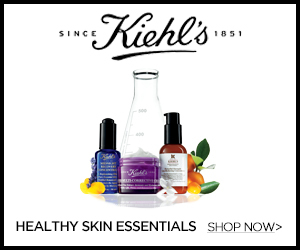 can you please recommend a good drugstore highlighter? Thank you!! I can someone to get them from there!! Is it available at super drug? You’re so sweet thank you!